Washington, DC - The National Black Religious Broadcasters (NBRB) is a national coalition of over 10,000 black religious broadcasters would like to express our concerns that the expiration of the "viewability" rule could have a serious negative impact on viewers of faith-based programming throughout the country. Much of this programming is viewed on must-carry television stations. We would like to ensure that our content reaches everyone who would like to see it - including those consumers that cannot afford, or are not aware that they need, a new cable box. The Rev. Sheldon Williams, President of NBRB says, "if the FCC changes the viewability rule this would be grossly unfair to black religious broadcasters throughout the country. Therefore, we strongly urge the Federal Communications Commission to extend the rule because many of our 10,000 members will be directly and adversely affected by the in action of the FCC. NBRB believe that by extending the viewability rule it will signal the FCC commitment to small and independent broadcasters. We plan to work hard to make sure that this extension is a reality"
As we understand it, the Commission is considering letting the rule that now makes sure must-carry stations be viewable by all cable viewers expire. We fear that this could have a devastating impact on our viewers, because many of them rely on analog cable service. Currently, roughly 22 percent of cable subscribers rely on analog service and many more use analog service on second and third TVs. The end of the viewability rule would allow cable providers to basically cut off must-carry stations from those viewers. In order to access our content, these consumers would be forced to go through the hassle and expense of purchasing and installing a new converter box. Ending the viewability rule would transfer the burden of complying with these requirements from cable providers to consumers. Today broadcast television is also making great strides in offering new opportunities for African-American voices, and now is the wrong time to take a step backward. NBRB members are not asking for a special rule or favor. We believe that cable providers should not have the ability to discriminate against small local broadcast stations that serve audiences who desire faith-based programming. The National Black Religious Broadcasters (NBRB) is a national coalition of over 10,000 black religious broadcasters throughout the country who utilize broadcast and cable television, the internet and radio to host their ministries and spread the gospel according to our Lord and Savior, Jesus Christ. 16Then the eleven disciples went away into Galilee, into a mountain where Jesus had appointed them. 17And when they saw him, they worshipped him: but some doubted. 18And Jesus came and spake unto them, saying, All power is given unto me in heaven and in earth. NBRB truly believes in the Great Commission, the ethics and teachings of Jesus and His commandment over our lives. This verse of scripture is the central cause of our missionary zeal to spread the Good News through broadcast and cable television, radio and internet. We intend to save the world with this powerful gospel. Washington, DC - The National Black Church Initiative (NBCI) a coalition of 34,000 churches spanning 15 denominations and representing 15.7 million African Americans would like to express our concerns that the expiration of the "viewability" rule could have a serious negative impact on viewers of faith-based programming throughout the country. Much of this programming is viewed on must-carry television stations. The Rev. 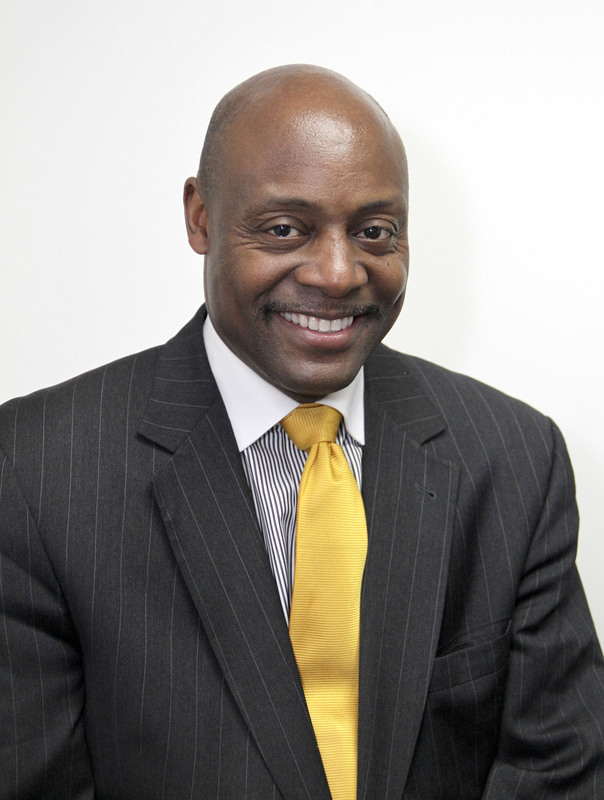 Anthony Evans, President of NBCI says, "we strongly believe that it is the job of the FCC to assure that minority church-based broadcasters should receive the same consideration as large cable operators. We strongly urge the Federal Communications Commission to extend the rule because many of our 15.7 million members will be directly and adversely affected by the FCC not extending the viewability rule. We plan to fight for our right to have comprehensive access to all cable systems whether it is analog, digital or hybrid systems. We plan to let our congressional representative know our position. We will use the full force of the Black Church to be heard on this issue." Rev. Mark McCleary, Chair of NBCI Minister Alliance is leading an all out effort to notify NBCI members about this possible rule change. "We have notified over11,000 of our churches who plan to make phone calls and write the FCC on this issue. We want to send a clear message to the FCC. Please do not cast us aside in order to cater to big cable businesses over the objection of minority church-based broadcasters. Our tax dollars built and continues to sustain the public airwaves and we deserve just as much access as any other broadcasters regardless of its size and we will fight to be heard." Today broadcast television is also making great strides in offering new opportunities for African-American voices, and now is the wrong time to take a step backward. NBCI members are not asking for a special rule or favor. We believe that cable providers should not have the ability to discriminate against small local broadcast stations that serve audiences who desire faith-based programming. always will be against the ethics and teaching of our Lord Jesus Christ. harm his soul and undermine his Christian witness. our personal faith and belief in God, Christ Jesus and the Bible. Trayvon Martin and our black families. The National Black Church Initiative Demands Justice for Trayvon Martin and all of our black boys.